We will start with stop to Sorrento and you will stroll by the historical part of the town for about 1 hour where you will have the opportunity to explore the beautiful shops, restaurant and caffe' and you can taste our famous liquer called LIMONCELLO. 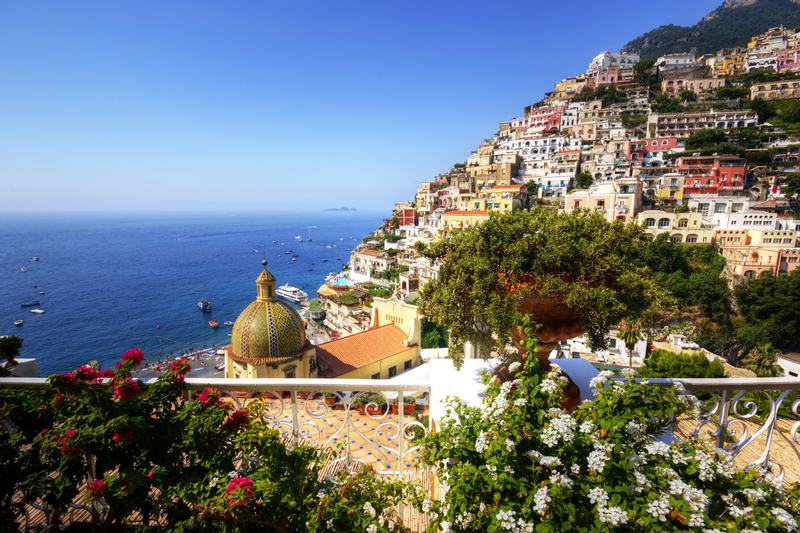 Then from the city center of Sorrento we will drive until Positano denominated the jewel of the Amalfi Coast situated on limestone cliffs, and you will have free time about 1 hour to walk along the narrow streets and admire the Cathedral, ceramics shops, handmade shoes and Positano fashion style. After visiting Positano you will be taken to Pompeii one of the most important archeological site in the world that lies at the foot of the Mount Vesuvius. At the ruins you will spend 2 hours to visit the ancient Roman Town that it was totally buried by volcanic ash and pumice during the eruption of the Mount Vesuvius in the 79 AD and will meet your driver again when you get out of the ruins area and the meeting point will be the same of the drop off. During the excursion the driver will recommend you for lunch (optional) or if you need we can organize the private licensed guide in (Pompeii) that you can book trought our company payment the extra charge.